When you’re a building manager considering all possible solutions for a given problem, it helps to see examples of similar buildings with similar problems. To show you the way toward energy efficiency and increased safety, we put together a couple of case studies on commercial buildings that have benefited from window film. 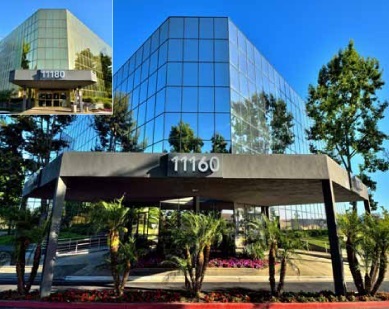 Two medical office buildings on the campus of Fountain Valley Regional Hospital in Orange County, California desperately needed a facelift. Since their construction in the mid-80s, the all-glass exteriors had become tarnished, no longer representative of the Class A medical exam and procedure rooms, laboratories, and offices inside. Building managers found that replacing all 2,000+ windows and mullions would be far too expensive and would likely disrupt medical patients and staff. With a little research, they were delighted to discover that painting the mullions and applying window film would provide the update they were looking for at a fraction of the price– just one seventh of the cost of full window replacements. 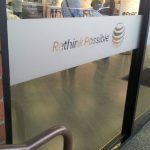 They selected Solar Gard® Sentinel™ Plus Silver 20 Outside Weatherable (OSW) Window Film, which would be applied to the exterior of the window and allow business to operate without interruption. When it was all said and done, more than 58,000 square feet of film was applied to the buildings, creating a clean, contemporary look. The buildings are now much more attractive, and the building managers now enjoy substantial energy savings. 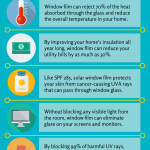 The solar blocking film earned the buildings just under $34,000 in rebates from their power provider. 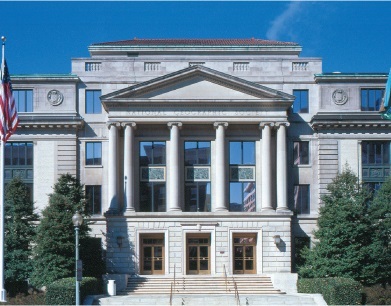 Many buildings in the Northeastern region of the U.S. house anthropological wonders of our country– namely, the National Geographic Society’s campus in Washington D.C.. There they keep museum displays, archives of books and magazines, and the administrative offices of their publishing and TV production operations. With so many cultural items to keep safe, Chief Engineer Richard Neil conducted evaluations in each of the three buildings in 2001. He discovered that they desperately needed to reduce their solar load and improve energy efficiency. Solar Gard’s Solar Bronze 20 was selected for the lower windows, and Stainless Steel 35 for the upper windows (more than 12,000 square feet in total). This immediately provided a cooler climate and increased comfort for employees. It also improved their energy efficiency and provided excellent protection against UV rays and heat damage for their displays. Two years later, in the wake of 9/11, the government’s General Services Administration recommended that all D.C. area buildings have some kind of blast mitigation installed on their windows. Neil turned to a familiar vendor and went with Solar Gard’s Armorcoat 4mm Clear for lobby and cafeteria windows. This provided a strong safety measure for the possibility that a terrorist attack could occur and result in shattered windows– which actually cause the majority of injuries suffered in bombings. “Both installations did exactly what we needed them to; now we have increased safety and receive exceptional energy savings. Best of all, we achieved it through a solution that was both attractive and effective – it didn’t darken the rooms, and doesn’t take anything from the architect’s original intent. Solar Gard and Armorcoat were the ideal retrofit products for our campus.” Richard Neil, chief engineer. If you’re looking for a cost-effective solution for your commercial building’s energy or security needs, contact Pacific Window Tinting– Oregon’s leading Solar Gard window film dealer. Call 503-736-9000 today!